Wolfsburg / Detroit, January 2012. 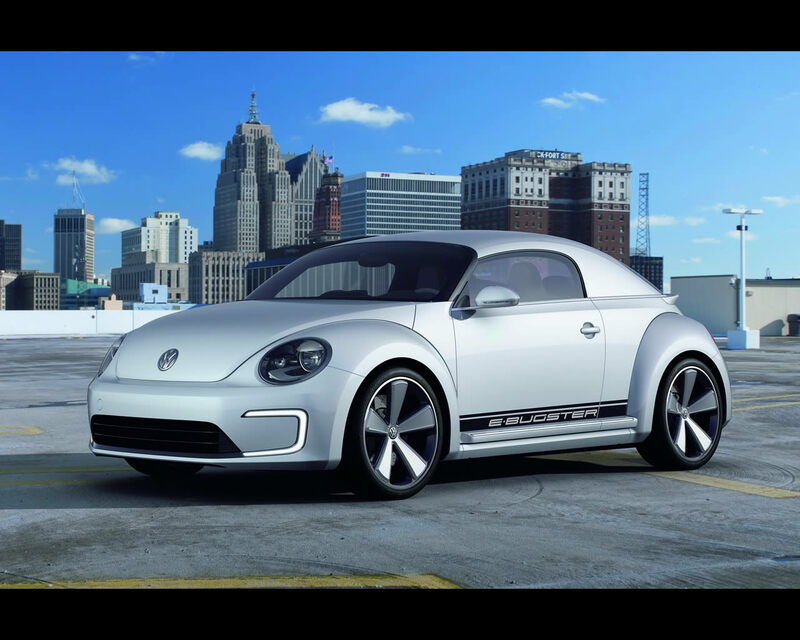 The Volkswagen E-Bugster is a pure electric two seats coupe concept derived from the Volkswagen Beetle. Blue-e-Motion is the new brand Volkswagen is dedicating to full electric vehicles. As early as in 2013, units under this name will go into production in such vehicles as the Golf. 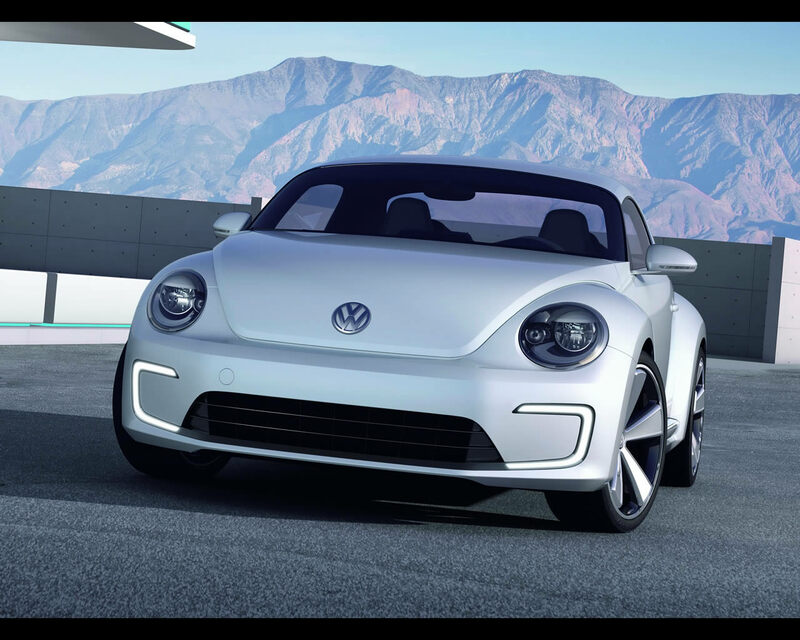 At the North American International Auto Show in Detroit, Volkswagen has introduced the E-Bugster specially designed to show that the Beetle can fit the Blue-e-Motion trend: a two-seat Beetle speedster, 85 kW in power, 0 to 60 mph in 10.9 seconds, with zero emissions yet the sharpest of proportions. of 28.3 kWh enables a range of at least 110 miles (180 km) in the urban world. And even in an enormous country like the USA, for the majority of commuters this distance is sufficient to drive to their workplaces and return home. 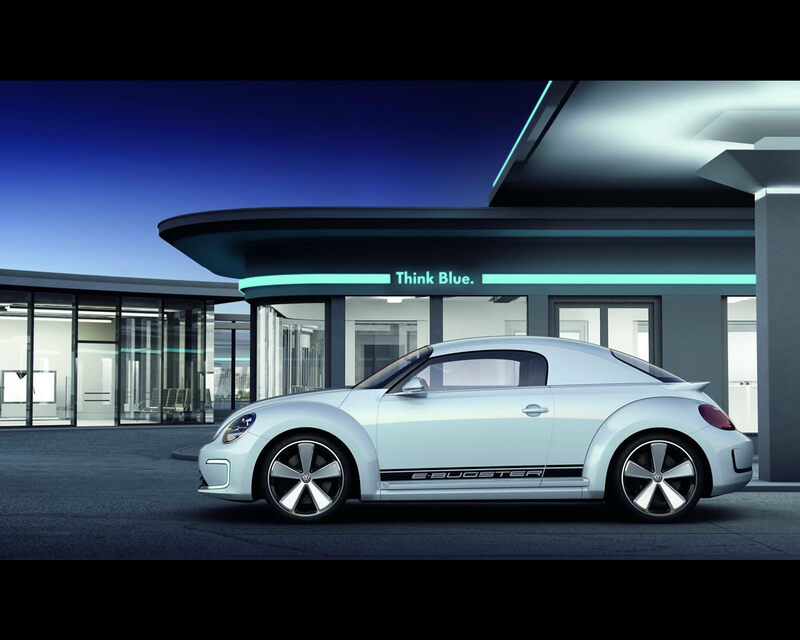 Since the Volkswagen has a quick charging function, the battery can be ‘refuelled’ within 35 minutes at suitable charging stations. At home, the battery of the E-Bugster can also be charged from the 120-Volt outlets that are usual in America (or from 230-Volt outlets in Europe). The interface for the charge cable is located below the normal ‘fuel door’ position near the C-pillar. • Ultra-fast DC charging at electric charging stations. This will require the development of a new, uniform industry standard for the plug connectors of future electric vehicles that will be available to all manufacturers. And this standardisation even goes beyond the plug connector itself: in the Combined Charging System, the charge controller and the electrical architecture must be able to handle all charging types. This will reduce costs and simplify widespread global implementation of electric mobility. shows the driver the intensity of battery regeneration. Regeneration refers to the recovery of braking energy: as soon as the driver’s foot leaves the accelerator pedal and /or brakes, kinetic energy is converted into electricity which is stored in the battery. This increases the driving range of the E-Bugster. By the way, Volkswagen calls the complete electric drive unit Blue-e-Motion. As early as in 2013, units under this name will go into production in such vehicles as the Golf. 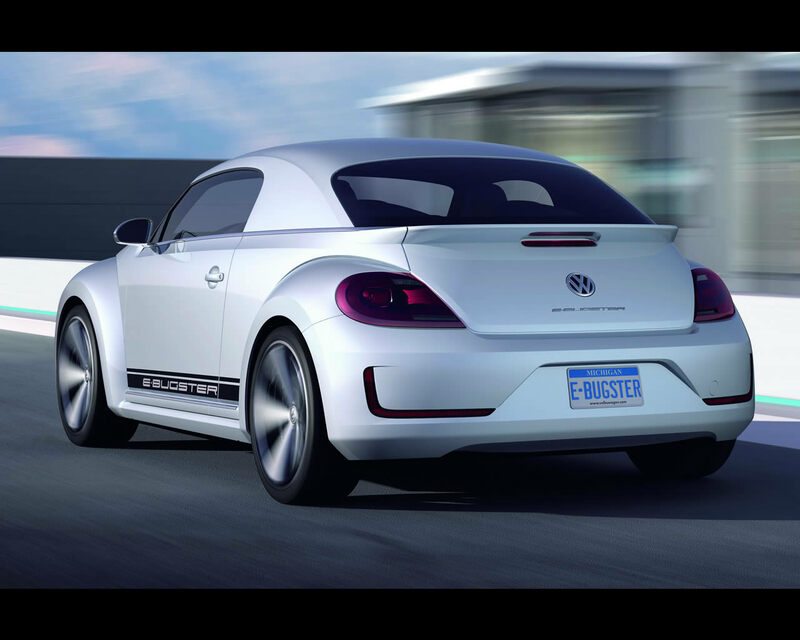 The E-Bugster is a Beetle that looks as it is a sports car. 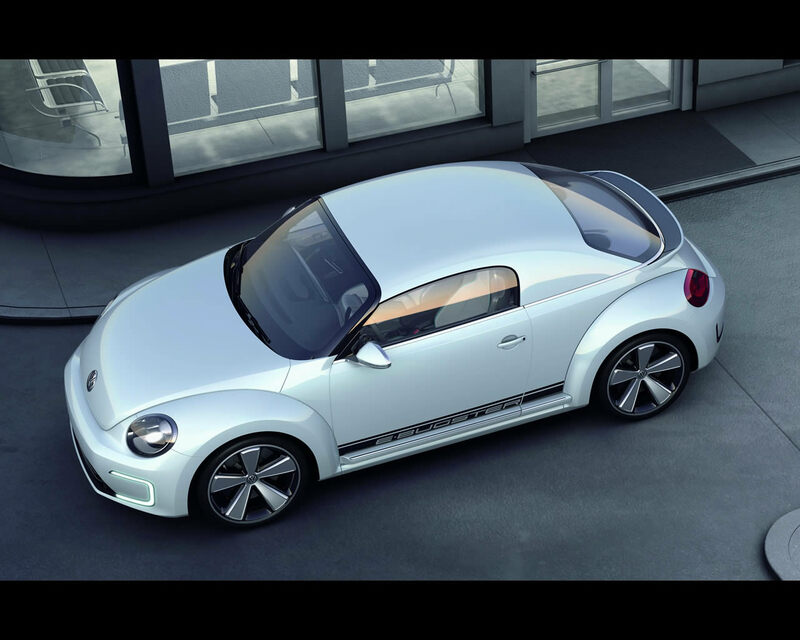 It has a height of less than 1,400 mm, which is about 90 mm less than that of the hard top Beetle. The E-Bugster’s width (1,838 mm) grew by 30 mm, while its length (4,278 mm) is identical to that of the production car.